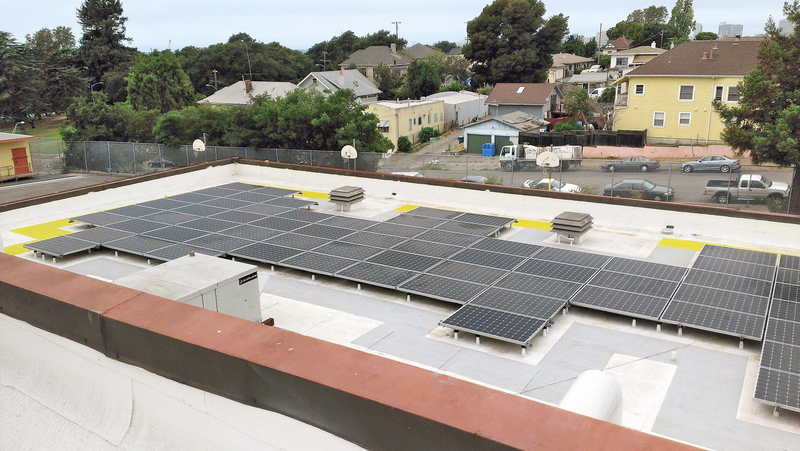 The OUSD Solar Initiative project implements solar power generation at 16 Oakland Unified School District sites per the eligibility requirement of the California Solar Initiative program. The sustainable vision reduces the district’s impact on the environment through the use of clean renewable energy. The resultant energy cost savings are available to be rerouted towards the funding of educational programs. The project was completed in a design-build delivery method in collaboration with SunPower corporation. The project detailed the installation of 3.6 megawatts of rooftop and parking lot solar systems. In addition, the program included a new STEM based curriculum which provides relevant learning opportunities for students interested in careers in the clean energy industry. 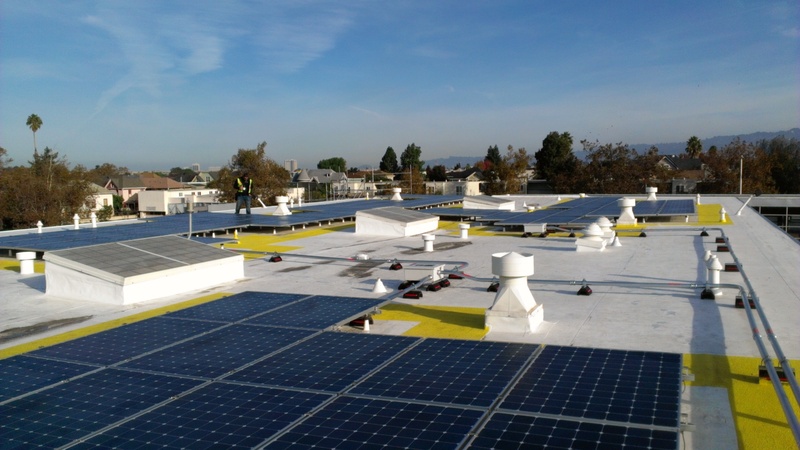 According to estimates provided by the US Environmental Protection Agency, the OUSD solar power system will avoid production of almost 2,500 tons of carbon dioxide emissions per year, which is the equivalent of removing close to 12,000 cars from California’s roads over the next 25 years. The project was permitted and certified through the Division of State Architects as 16 different projects. Design, approval, and construction of the project was carefully considered in alignment with the phasing and operational requirements of the district. Learn more about sustainability at OUSD here.